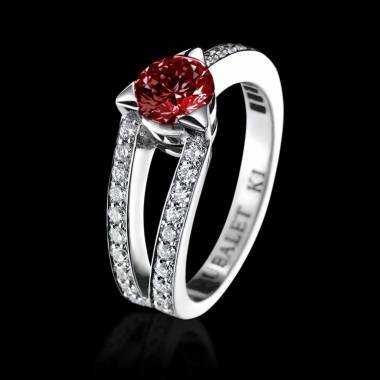 A gesture of love that your beloved will always remember, make your proposal a very special one by choosing a ruby engagement ring, a true symbol of passion, sensuality and desire. 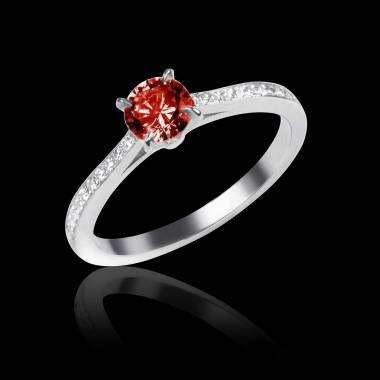 There is no stronger representation of everlasting and binding love than this fiery gemstone and its deep tones of reds. 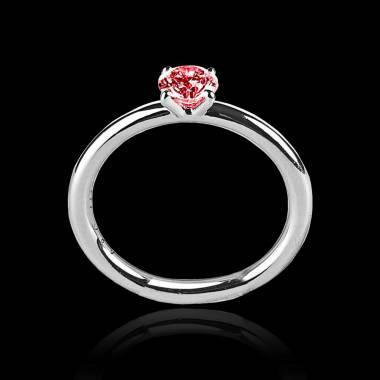 As one of the rarest gemstones, rubies are the ideal choice if you are looking for unique engagement rings for your loved one. 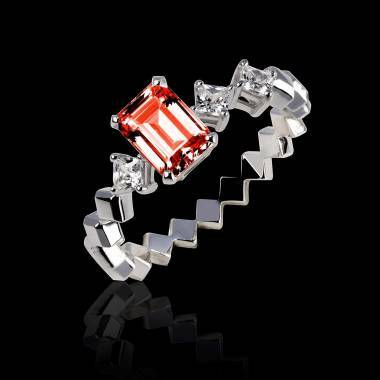 Red has always been the colour of love, passion and the heart. 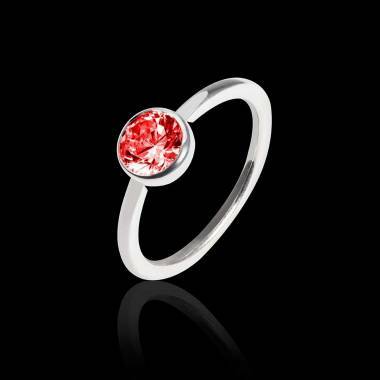 Also July’s birthstone, and often gifted for 40th anniversaries celebrations, rubies are undoubtedly the truest reflection of your affection. 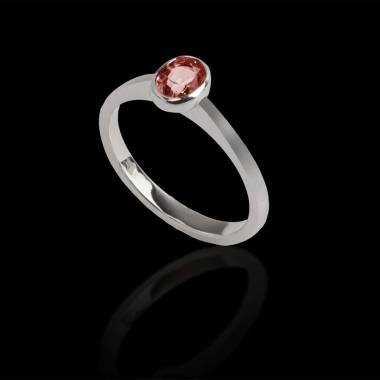 Originating from the Latin “ruber”, the ruby is part of the corundum mineral family, which also include sapphires. 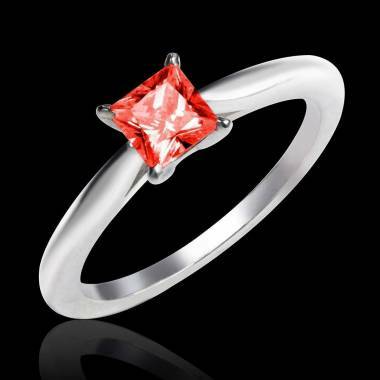 In fact, a red corundum is called a ruby, whilst other colours such as blue, pink or yellow will be named sapphires. 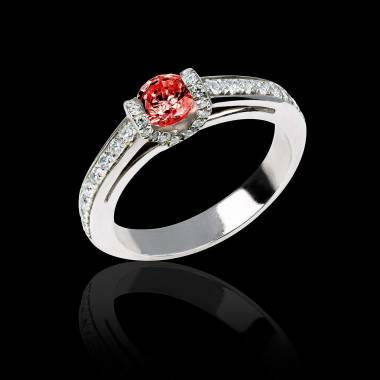 Also called a diamond engagement ring, due to the fact that rubies have almost the same strength as diamonds (9 on the Mohs Spectrum, diamonds being at 10), when you choose a ruby engagement ring, you can rest assured that your gemstone is one that will last. 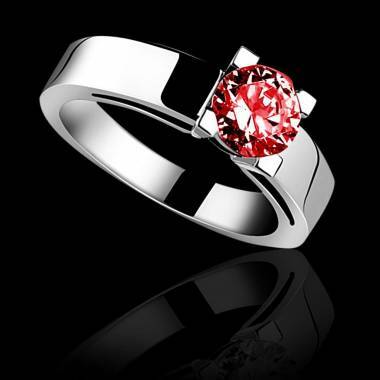 When it comes to colour, the ruby has three main grades of colour: very red, medium red, and pink red, which as for other gemstones such as sapphires, and emerald, will determine its quality and hence value. 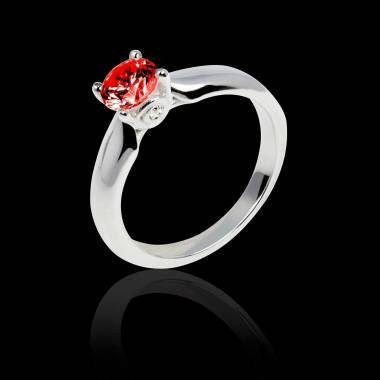 Find out more about our range of rubies. 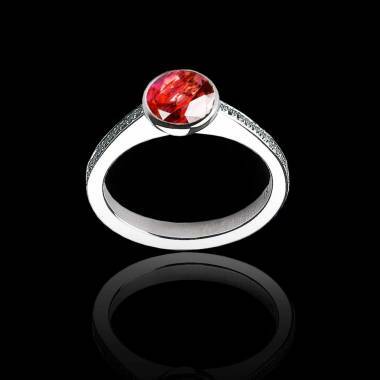 Similarly to other precious gemstones, the ruby’s size and shape can vary, the most common shape being cabochon, a rather rounded and polished cut. 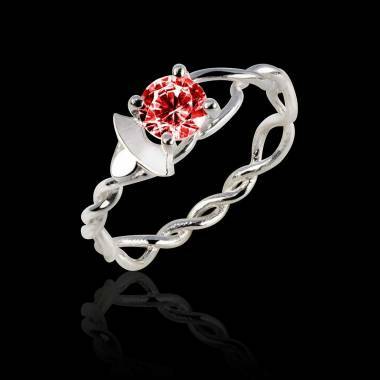 Cabochon also often benefit of a rare value-adding asterism inclusion which is a dazzling 6-armed star that appears on the top of the stone. 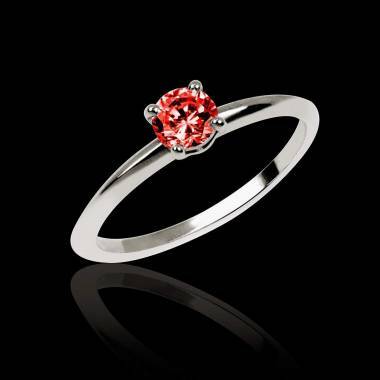 If her favourite colour is red, a ruby engagement ring will certainly be the perfect token of your love. 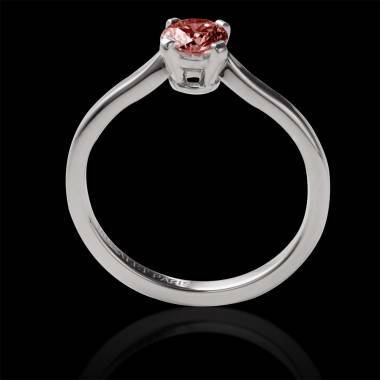 Find out more about why you should choose a ruby engagement ring. 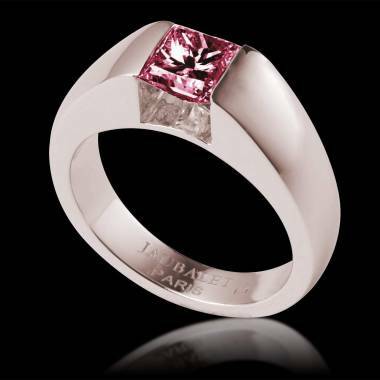 Jaubalet Paris offers a wide selection of engagement rings that you may order directly online. 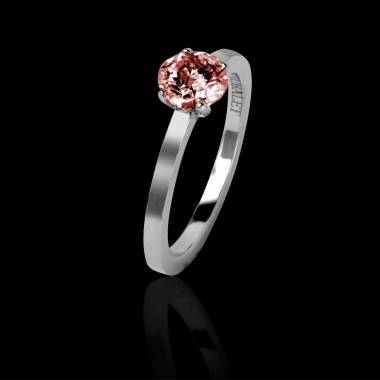 You can also personalise and customise all our pieces of jewellery to create a unique, custom-made ring, whether she would prefer white gold, yellow gold or platinum to compliment her ruby. 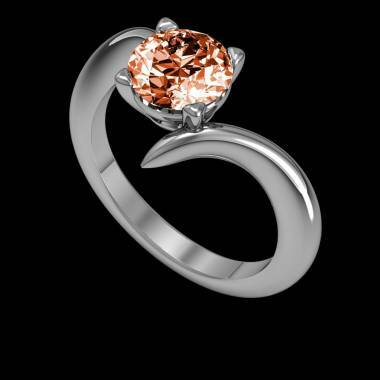 Make sure to also view our range of blue sapphire, emerald or diamond engagement ring.